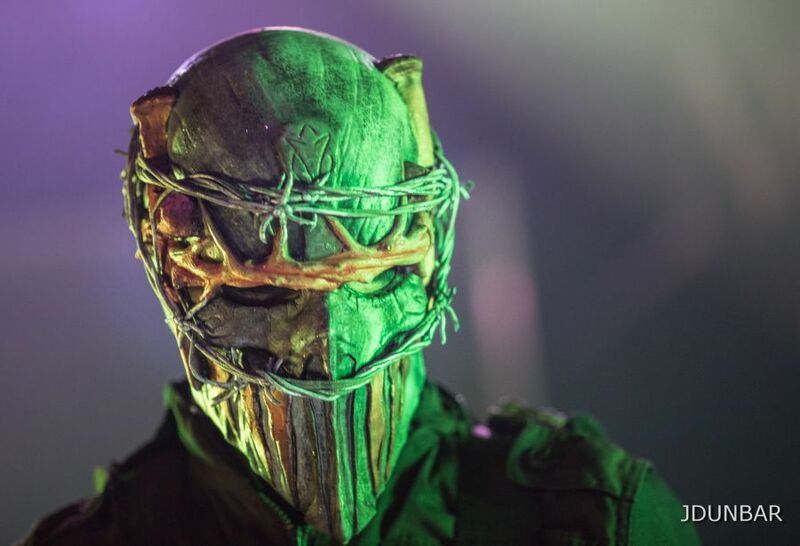 The mask-wearing shock metal artists from Cleveland brought a monster size mosh pit to the metal heads of the Motor City. 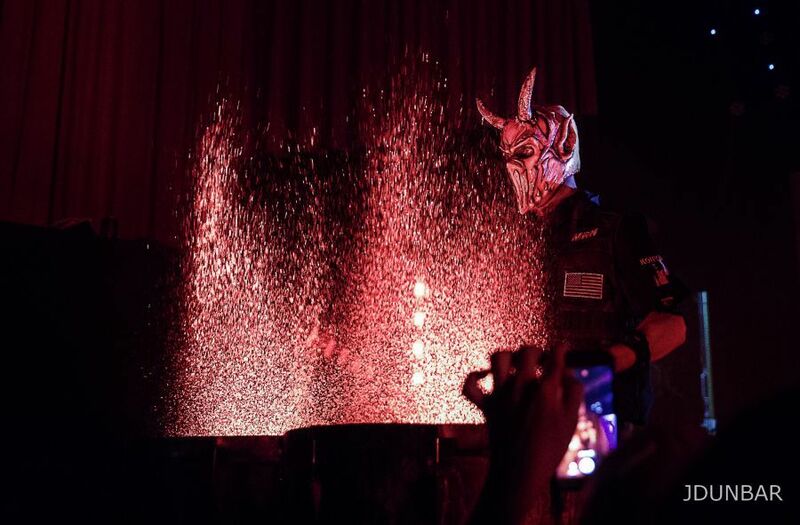 24-June-2016: Dueling water drums, a stunning stage show, infectious grooves, and a host of horrific, dancing demons… for what more could a metalhead ask?  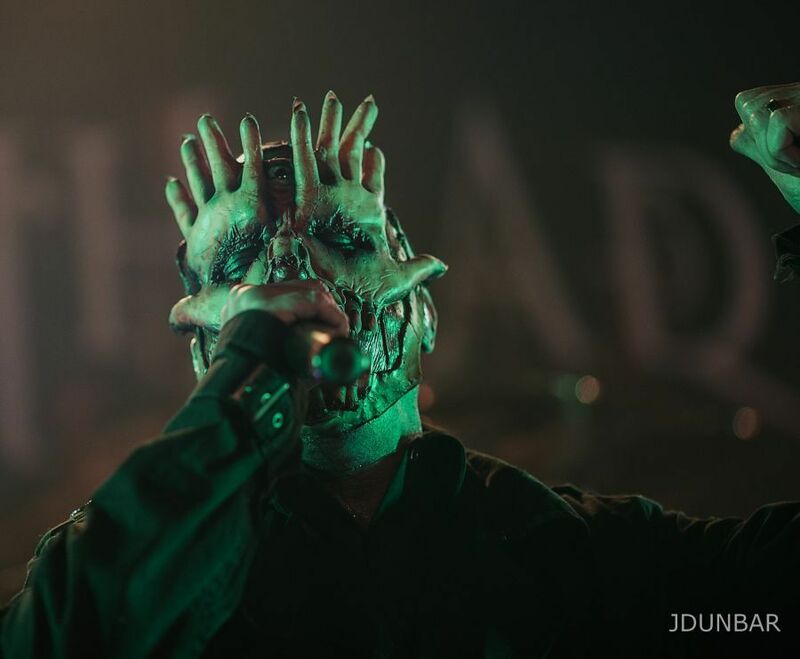 This is Mushroomhead, a dynamic seven-piece band that draws a unique sound from a combination of metal, industrial, techno, and hip-hop producing a unique, experimental sound. 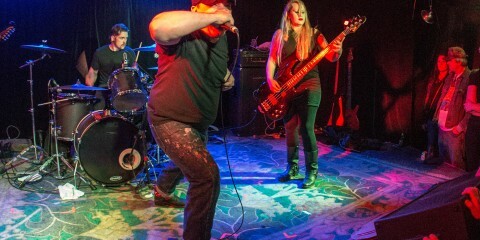 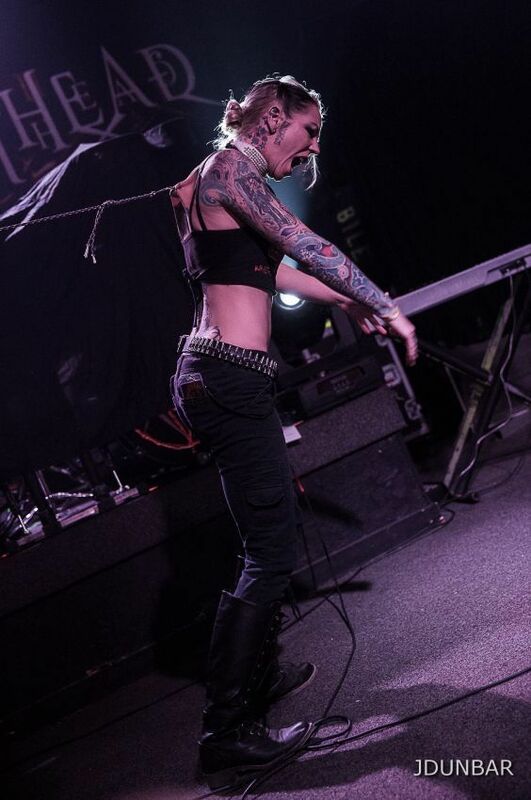 Before the main act took the stage, it was an unusual performance by Shannon Razorblade and the House of Razorblades. 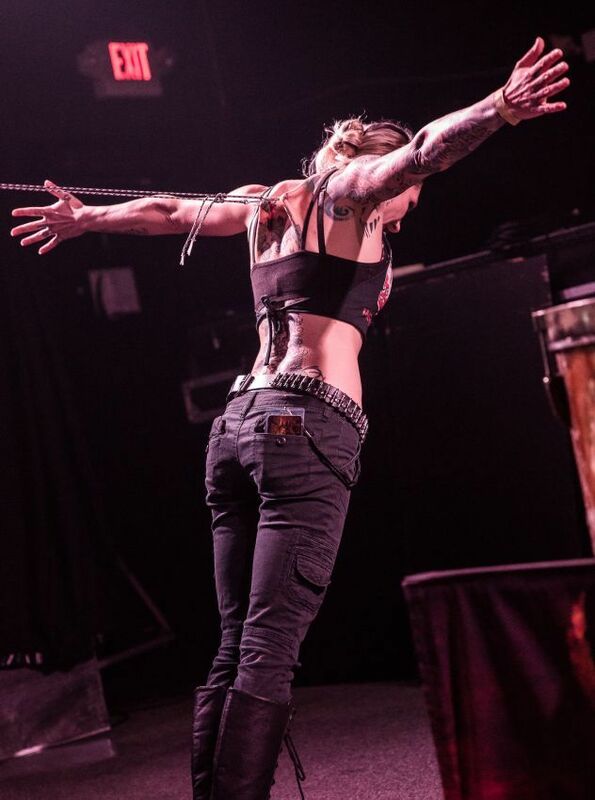 Shannon Razorblade, who is also the producer of this event, fired up the crowd with her troop’s fetish gymnastics. 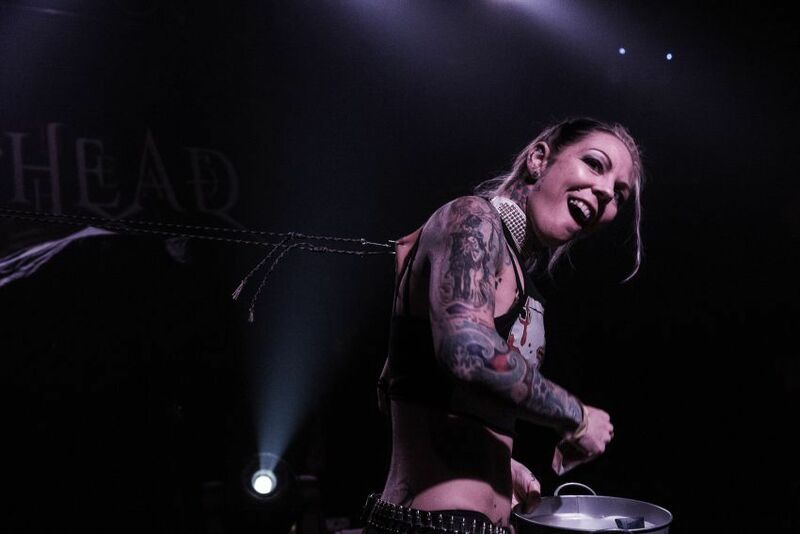 They did a tug-o-war, hung suspended from the ceiling, and the like connected only by hooks through their skin! 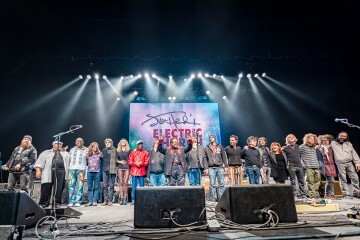 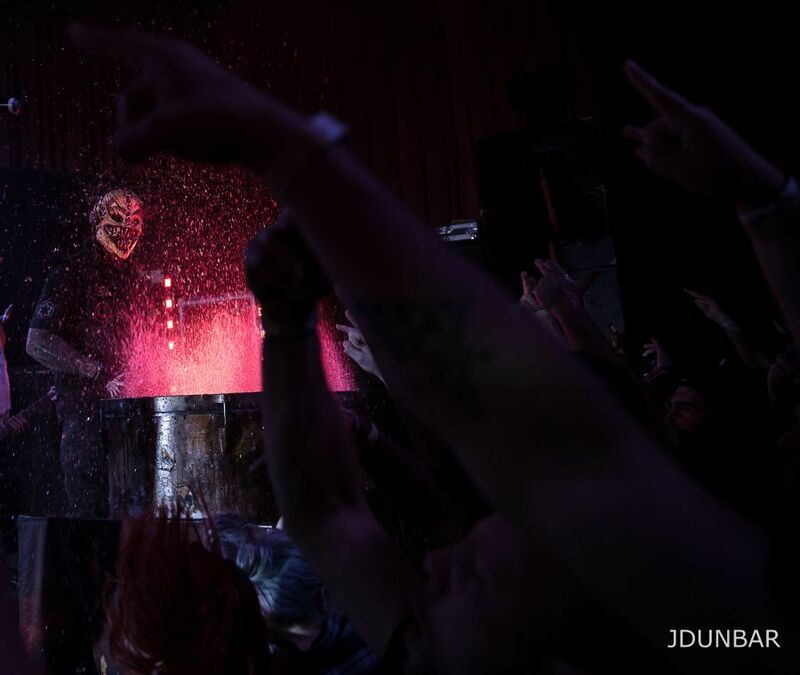 Fans in the Diesel loved the extreme sideshow, which proved the perfect warm-up for the main act. 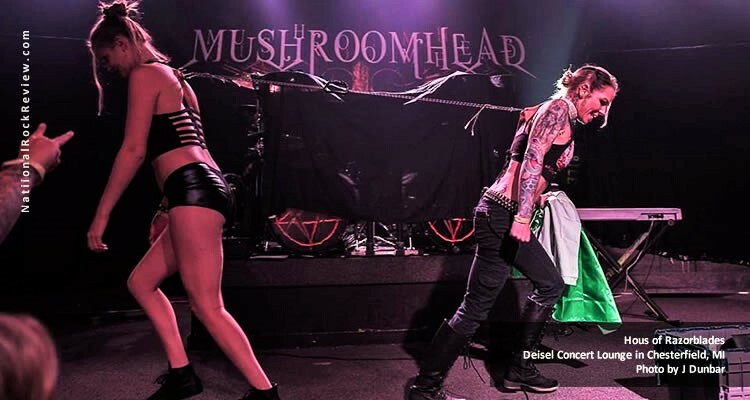 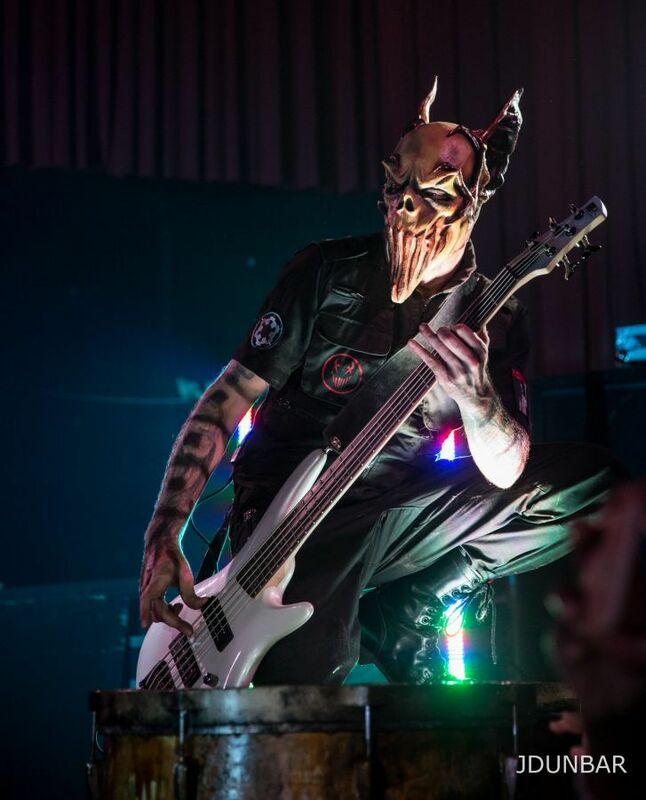 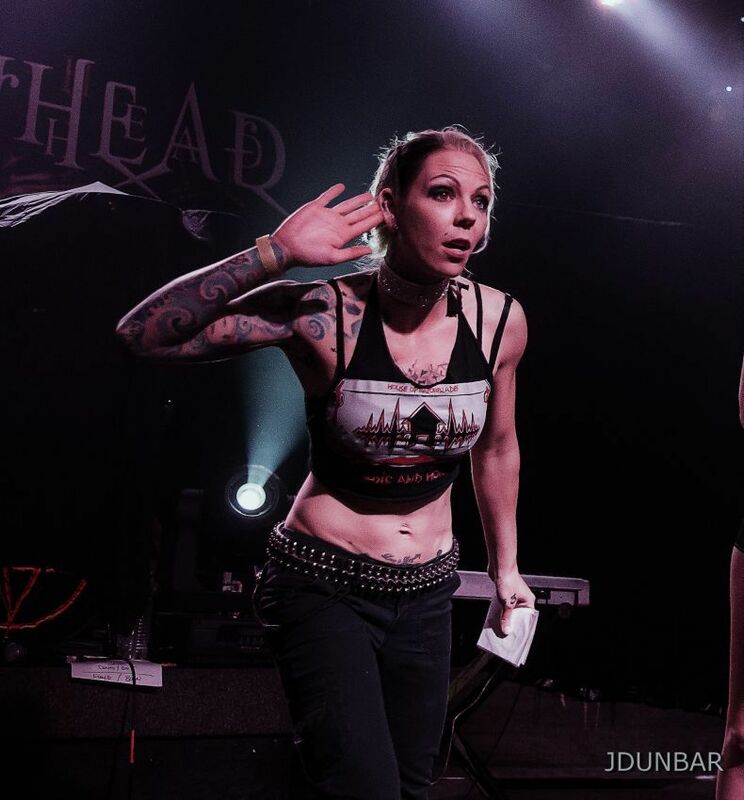 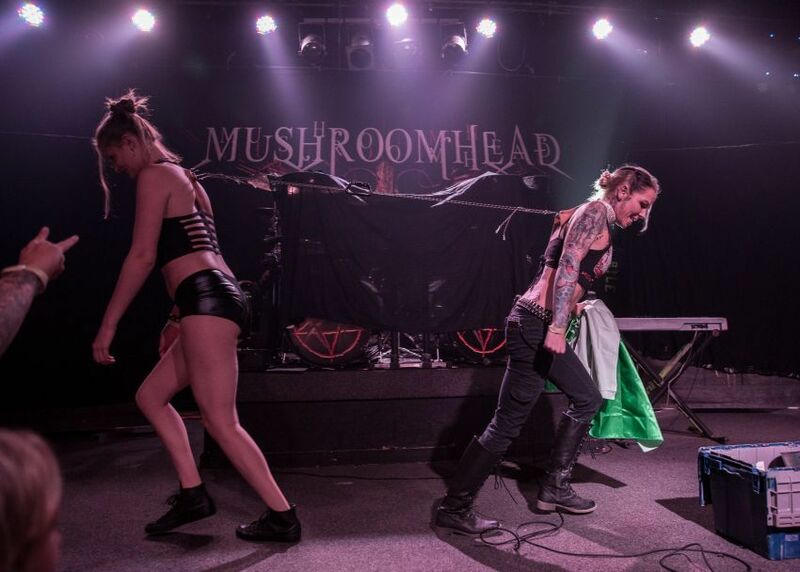 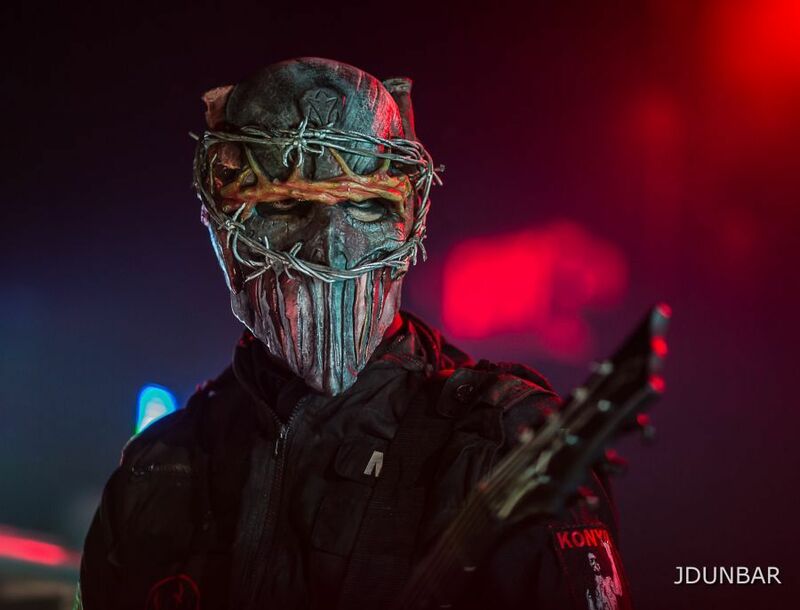 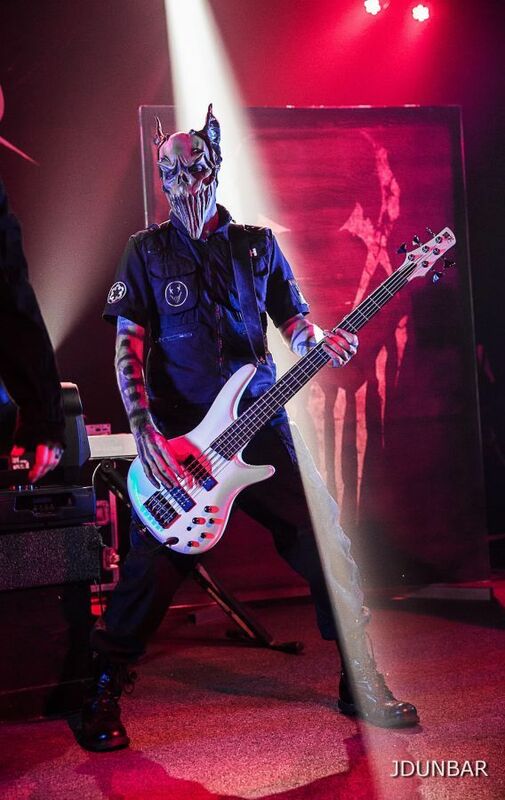 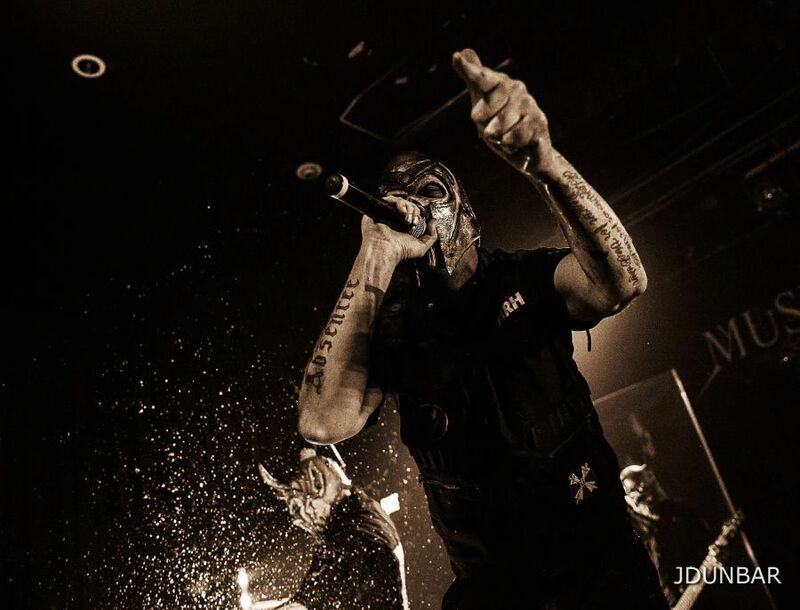 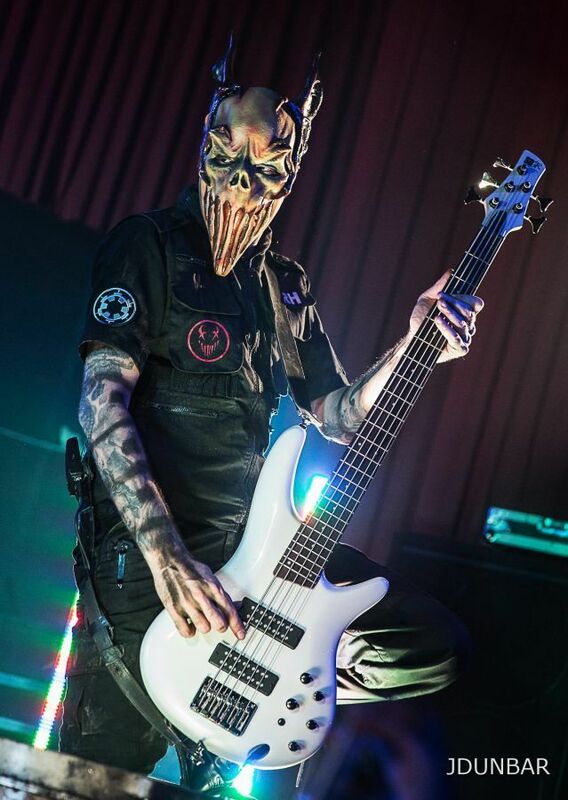 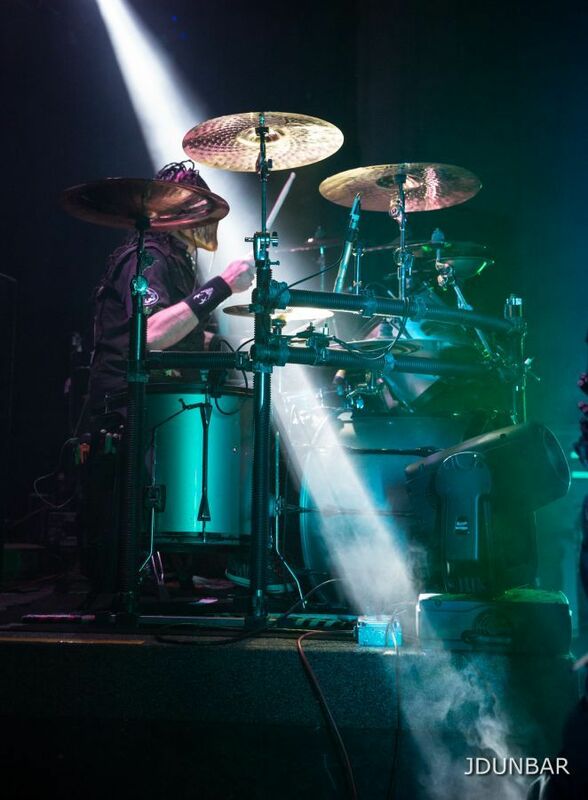 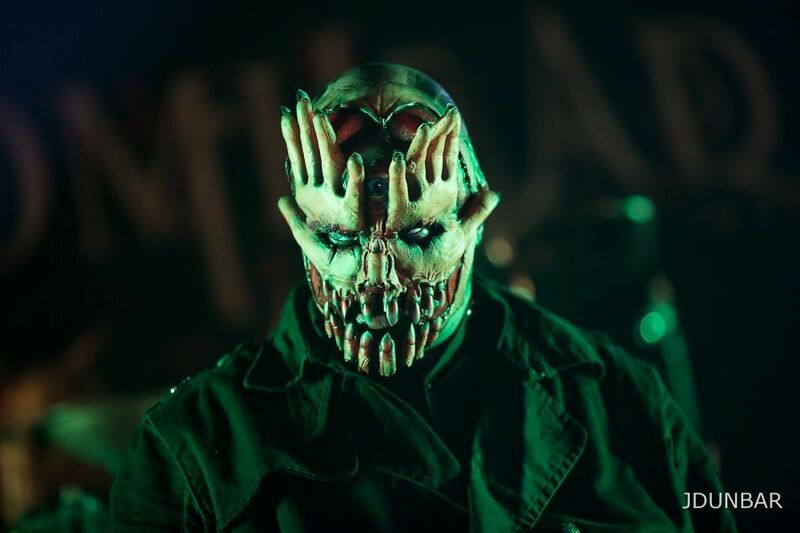 The Diesel concert stage came to life as Mushroomhead engaged the audience with a barrage of thundering bass, razorlike riffs, and a booming backbeat that baptized front row concert-goers courtesy of the water drumming section. 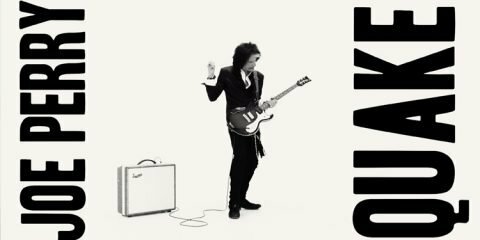 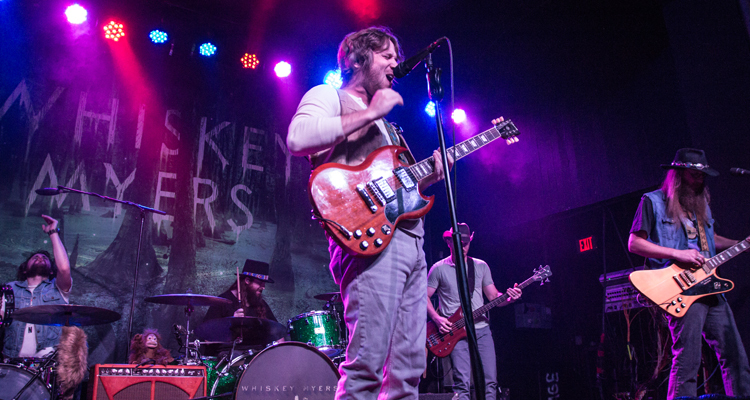 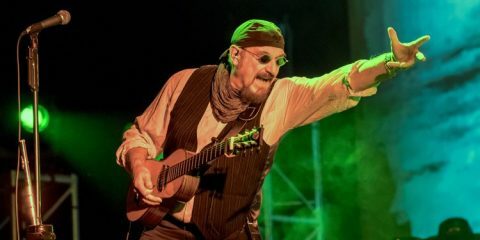 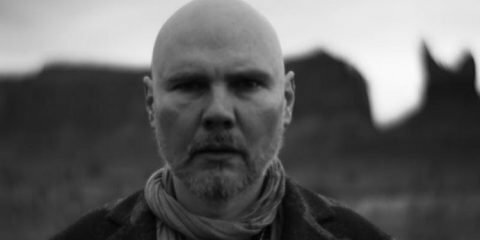 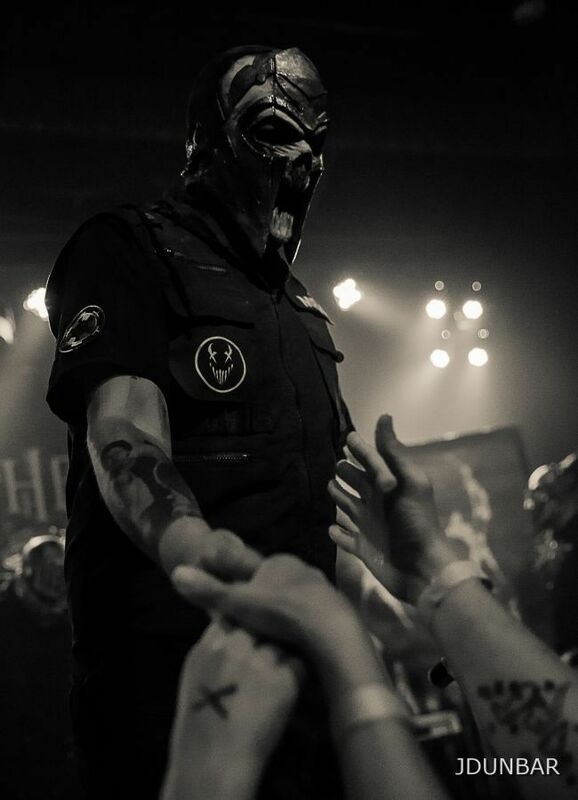 The crowd responded immediately by forming a large and energetic mosh pit. 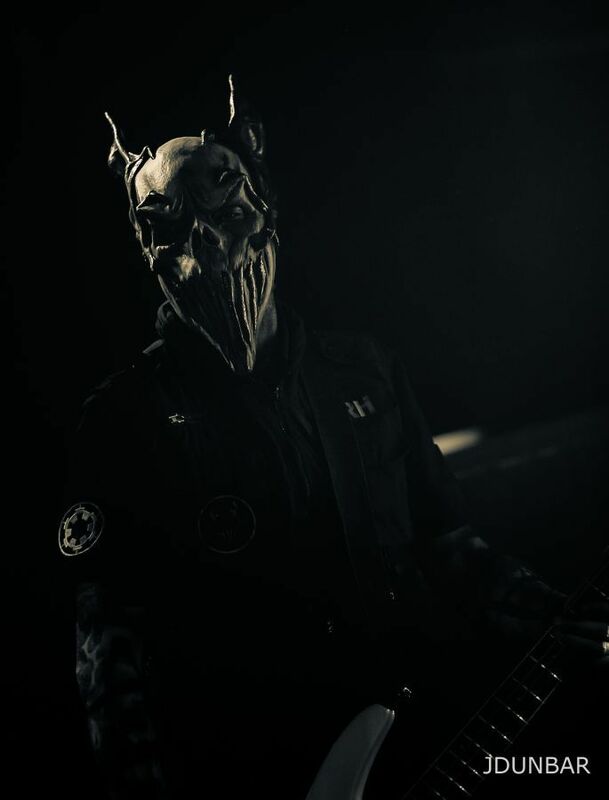 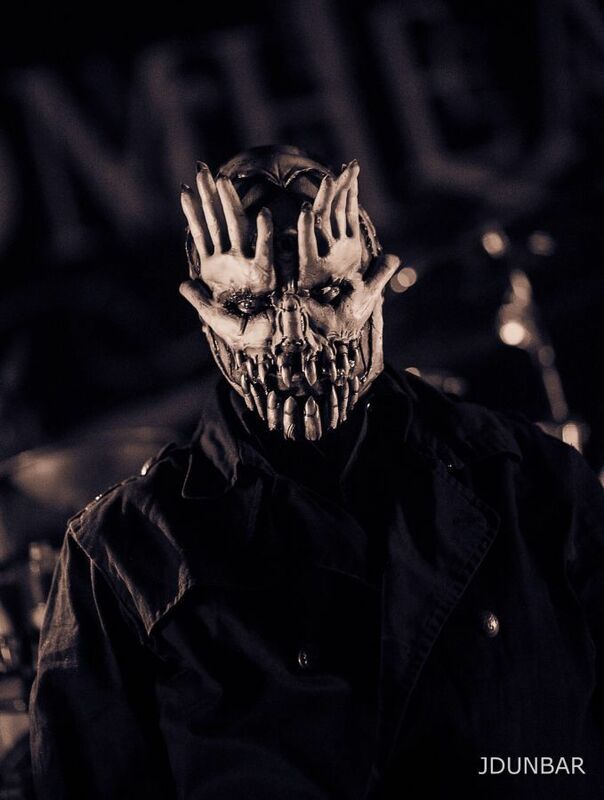 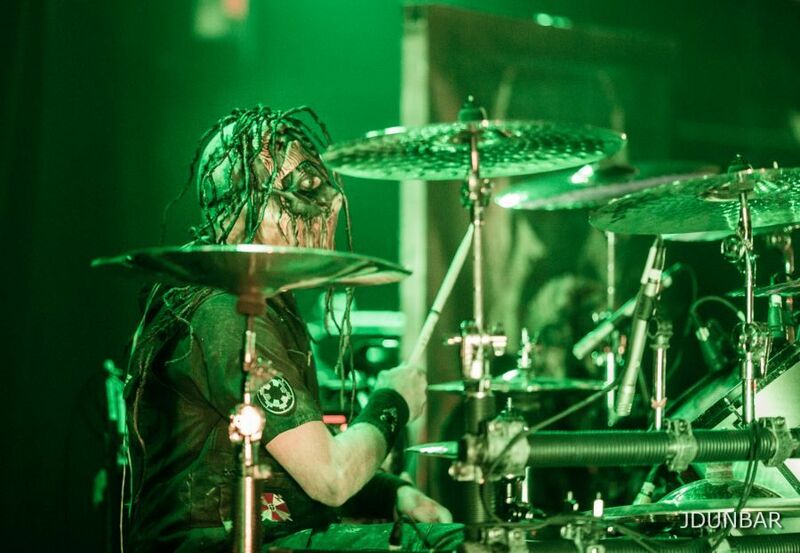 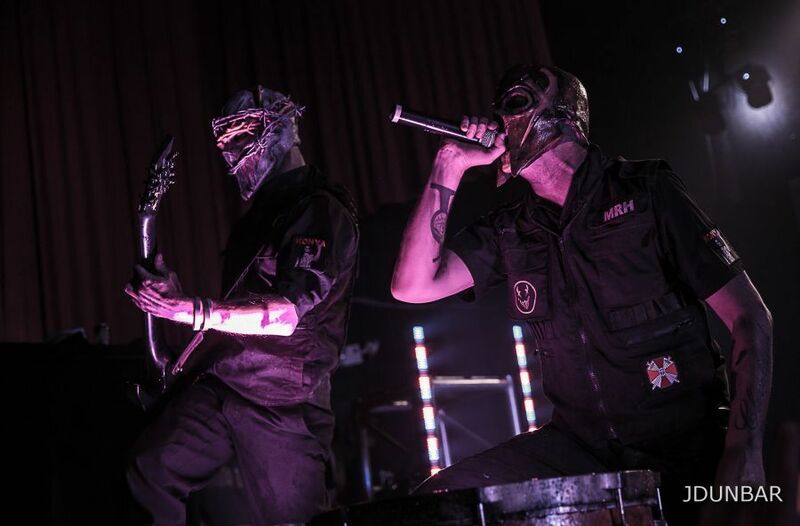 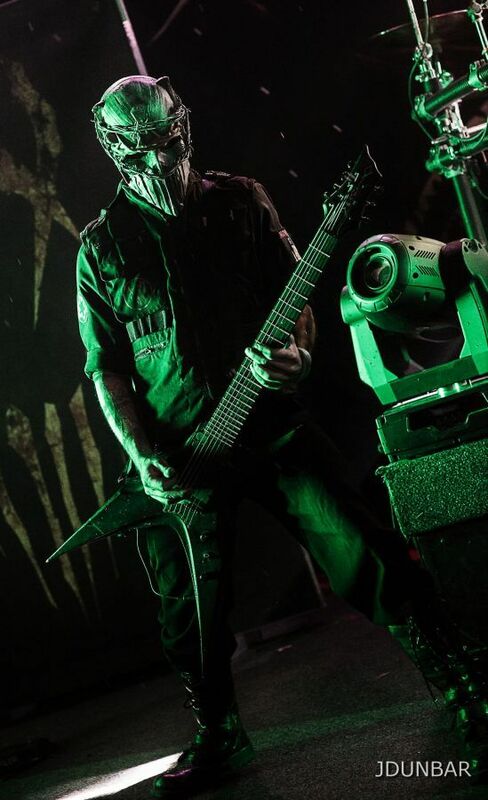 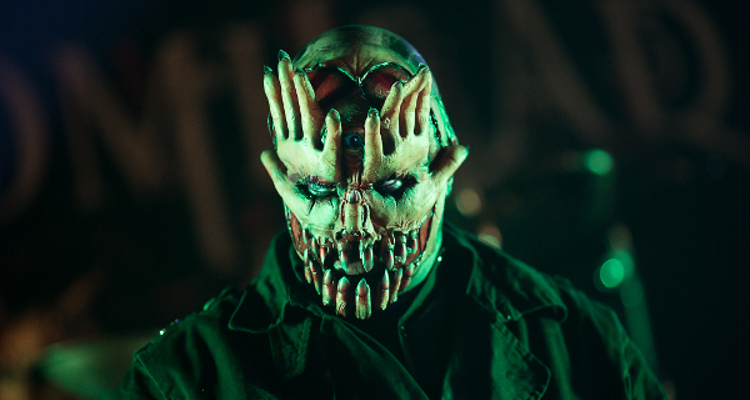 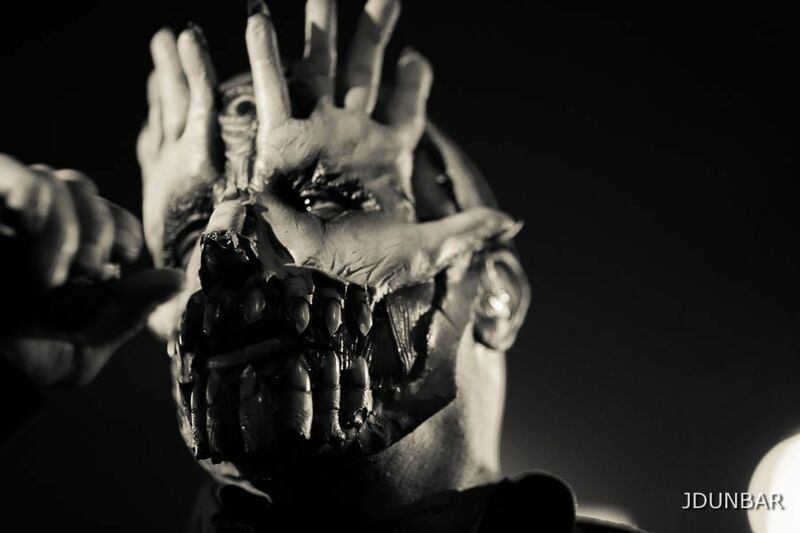 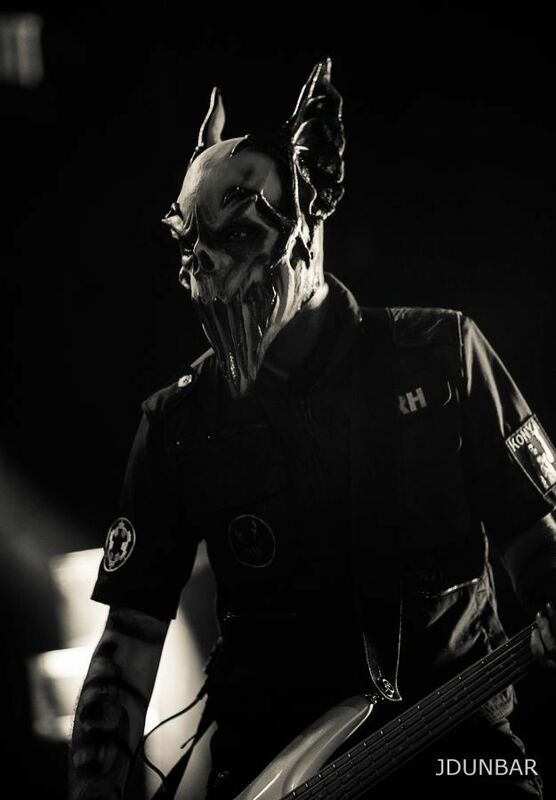 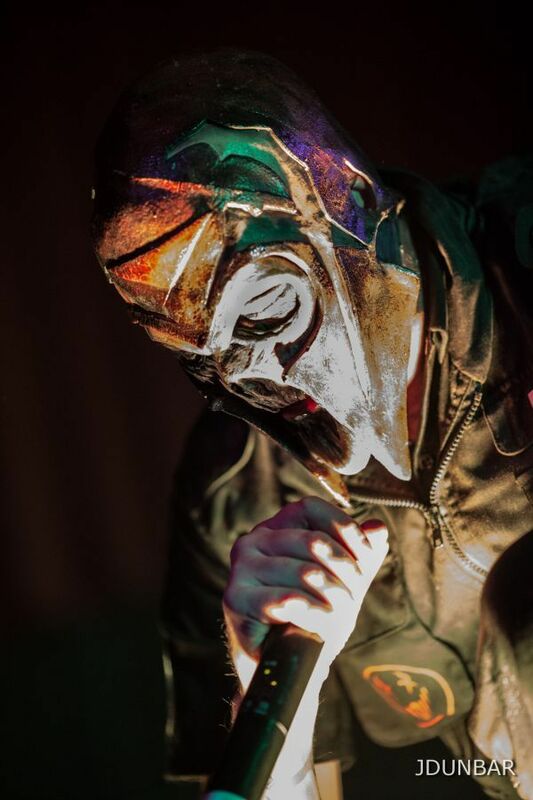 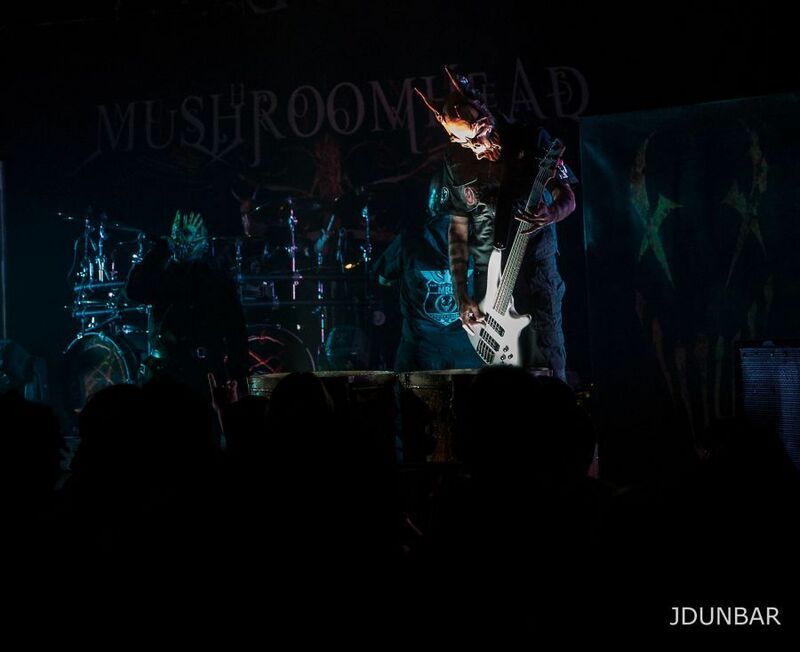 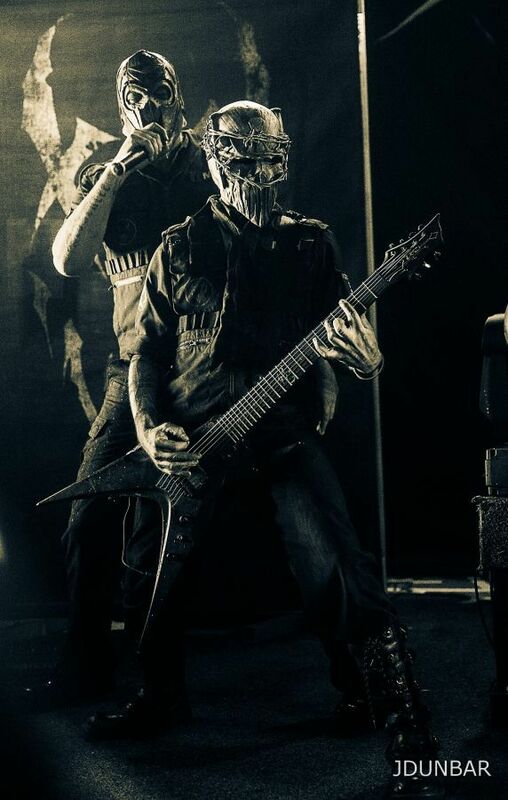 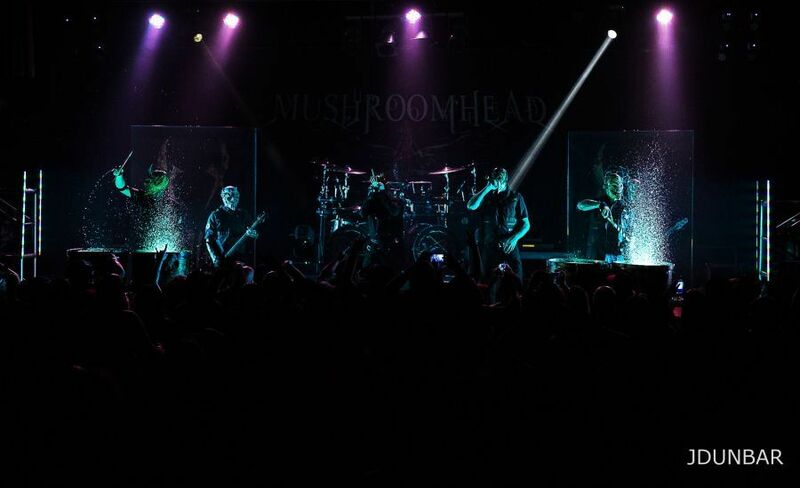 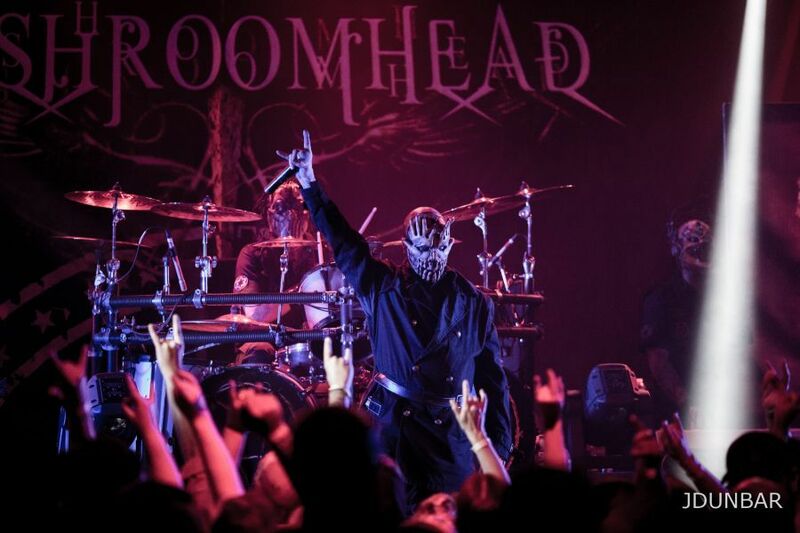 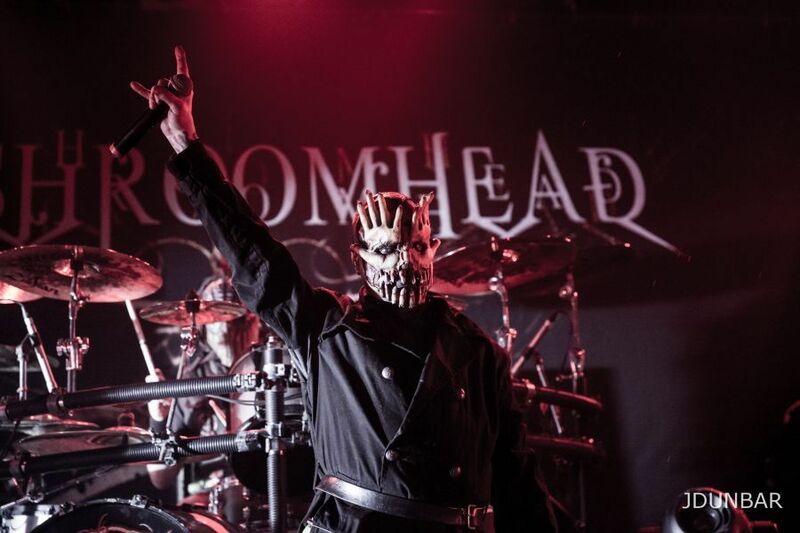 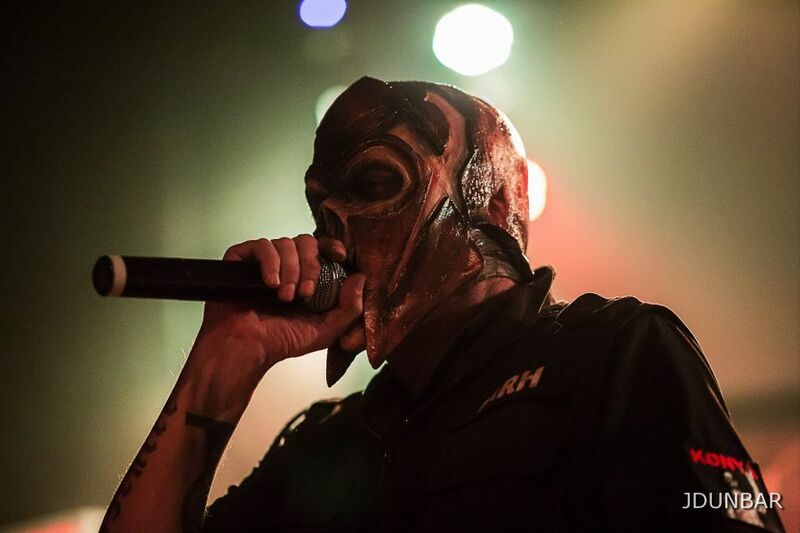 Mushroomhead continued to feed the moshers tunes from a music catalog that spanned two decades. 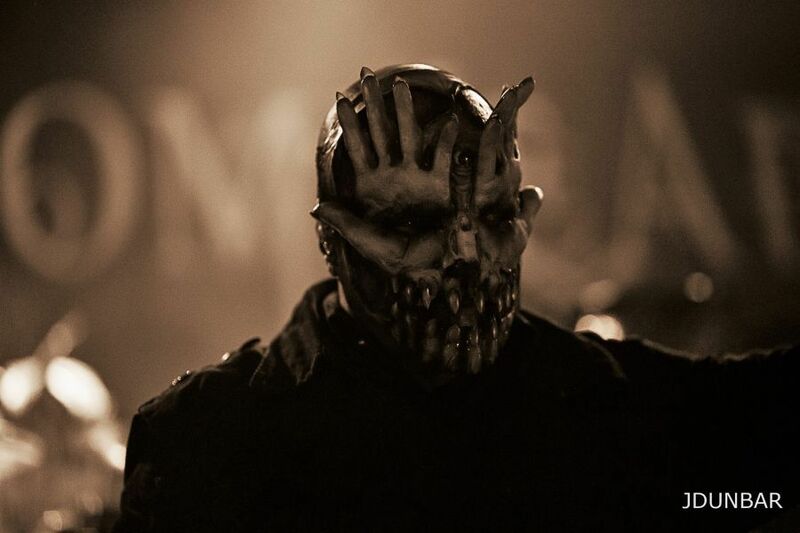 The pit came to a hypnotic halt as the band unleashed the nightmarish, carnival-like composition, “Qwerty.” Moshers regained their wits and resumed their Mushroomhead mosh mission. 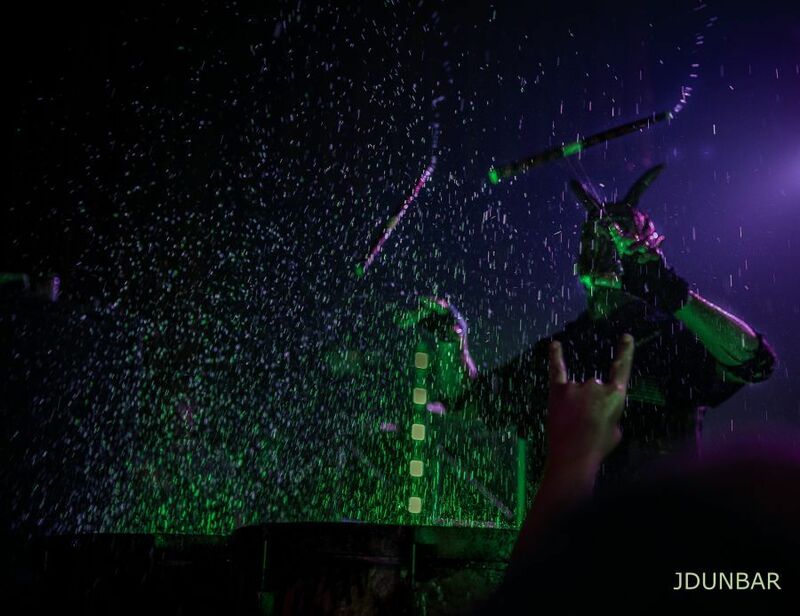 The Motor City was served a Mushroomhead memory, when the band performed a tribute to the late artist Prince with a stunning version of the artists, “When Doves Cry.” A band that fills the stage with the energy of seven seasoned musicians, Mushroomhead is guaranteed to leave you with a concert experience that is truly unforgettable.